A Bordeaux tasting by Freddy Price at Reading University Wine Society first sparked Christos’ interest in wine. This interest gradually turned into a passion, and after a 20 year detour into marine insurance, Christos realized that at least half a career spent doing something that he really enjoyed was better than nothing! Christos enjoys helping others discover the amazing diversity of the wines of the world. He strongly believes that, with the right guidance, everyone can appreciate as well as enjoy wine, and his style of teaching is always informal and down to earth, as well as informative. After completing his WSET Diploma, Christos set up a company, Criterion Wine to organize wine events for corporate customers, social clubs and wine groups. He specializes in arranging tastings for the insurance and legal community, and, having worked in that industry for 20 years, is intimately familiar with their needs. Christos organises and leads wine tours all over the world. In the last few years he has organised tours to South Africa, Chile, Argentina and Uruguay, Rioja, Veneto, Piedmont, Porto/Douro, Bulgaria, Southern & Northern Greece, Crete & Santorini, in France to Champagne, Bordeaux, Burgundy, Alsace, Rhone Valley, Languedoc, and also a whisky tour to Islay! Christos can organise tailor-made tours for wine clubs, group and corporate clients. 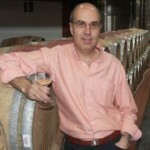 Christos has been a Judge at the International Wine Competition since 2002.